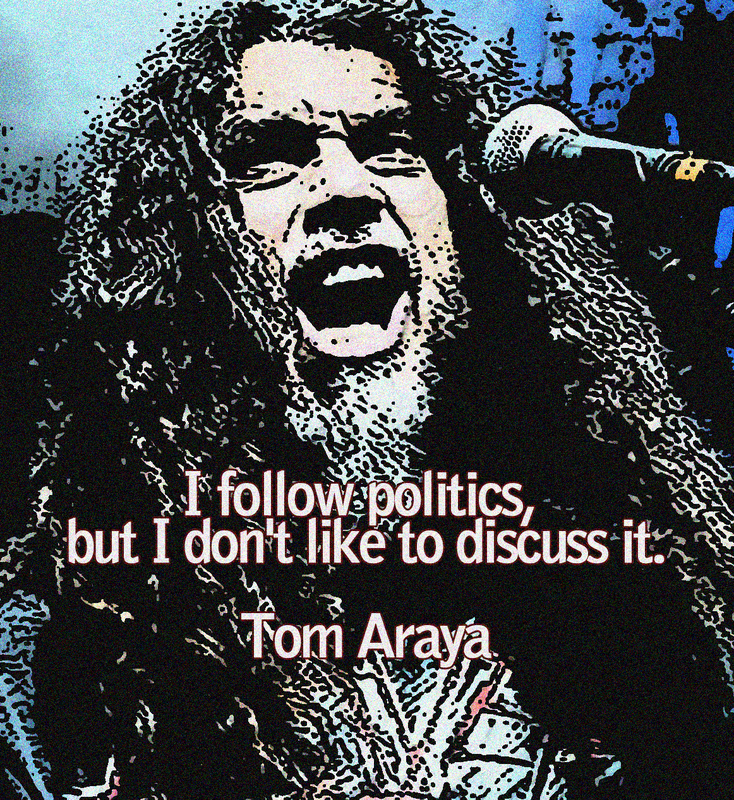 I follow politics, but I don't like to discuss it. 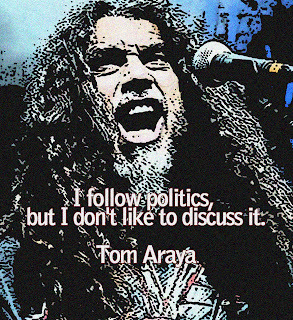 Tom Araya is a Chilean American musician, knowned as the bassist and vocalist of the Legendary thrash metal band Slayer. Araya was employed as a respiratory therapist in the early 1980s and used his earnings to finance Slayer's debut album. His lyrics shows about serial killer. He used to play Rolling Stone and Beatle song with his brother who plays guitar. Unlike his Slayer bandmates who profess to being atheists, Araya is Catholic. In an interview, Araya expressed his belief that "...Christ came and taught us about love, about doing unto others. That was his preach: Accept each other for who we are. Live peacefully, and love one another." When asked if he believed in God, he replied "I believe in a supreme being, yeah. But He's an all-loving God.